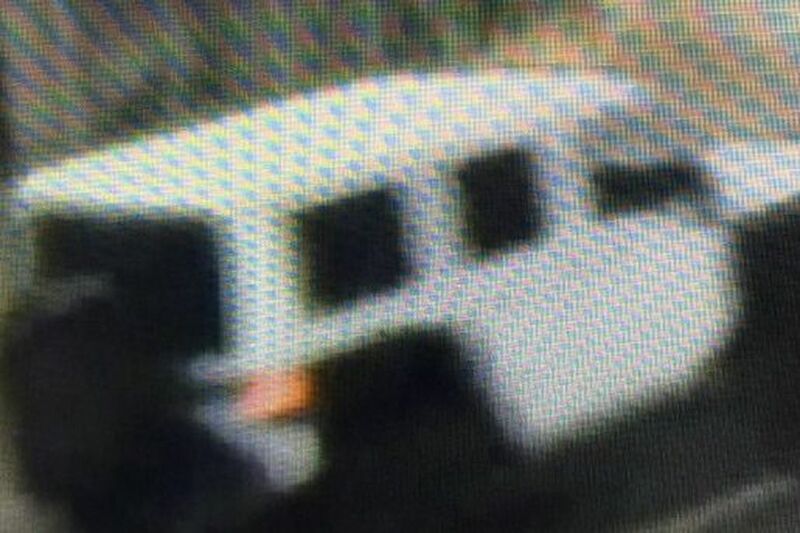 Police released this surveillance shot of the Jeep wanted in the fatal hit-and-run. A 52-year-old North Philadelphia woman was killed early Sunday morning in a hit-and-run accident in the 1300 block of Race Street, Philadelphia police said. The woman, Ann P. Broderick of the 2600 block of Coral Street, was a pedestrian. She was struck around 3:20 a.m. by a white Jeep Wrangler Rubicon that was heading east. Police were searching Sunday for the vehicle, which continued east after the collision. It had a hard white top, black wheel wells, large tires, and a spare tire attached at the rear. It may have damage to the right front. Broderick was pronounced dead at Hahnemann University Hospital at 3:49 a.m.